Victorian government MP, Andrew Katos, has publicly questioned the Napthine government’s anti-wind farm laws just weeks out from the state election. The move signals growing tension amid Liberal ranks about the controversial policy. The Liberal MP for the marginal seat of South Barwon called for community wind farms to be exempted from the Coalition government’s restrictions on wind farms at a candidates forum hosted by the Torquay residents association on Thursday 30 October. “After Donna Petrovich’s statement I want to look at supporting community wind farms and will discuss it with Matthew Guy,” Mr Katos told the audience. Mr Katos’ policy shift has been confirmed by Climate Spectator and reported on by The Australian. The MP’s commitment came days after Liberal candidate for the hotly contested seat of Macedon, former MLC Donna Petrovich, called for a community-wind farm exemption. Andrew Katos’ policy position has shifted in response to a community campaign by the Geelong Sustainability Group, Surf Coast Energy Group and Yes 2 Renewables. Yes 2 Renewables first raised the anti-wind farm laws as an issue in 2012. Unimpressed with our public awareness raising efforts in South Barwon, Andrew Katos MP ranted and railed Friends of the Earth in the Victorian Parliament (Hansard). The campaign to restore fair laws for wind farms was ramped up in 2014. Geelong Sustainability Group and Yes 2 Renewables supporters undertook a collaborative campaign earlier in the year. 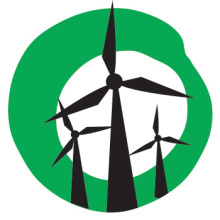 Together we sought to encourage Andrew Katos MP to shift his position on wind energy, and encourage all candidates to adopt a pro-renewable energy position. 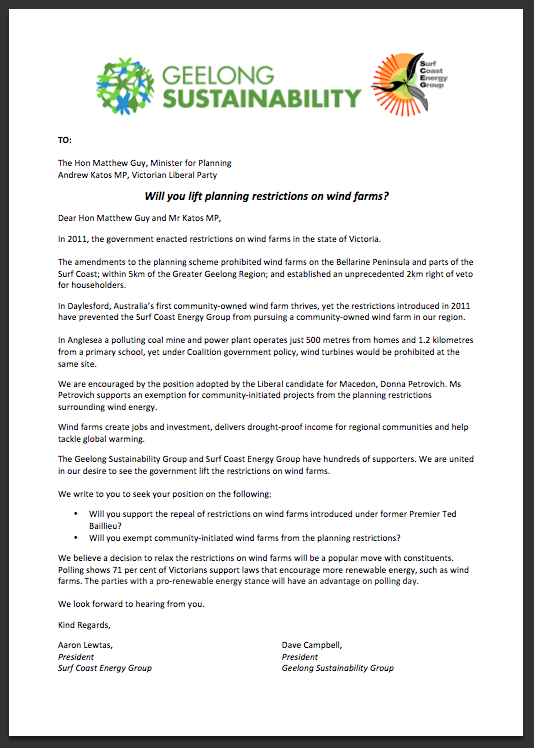 Most recently, the Geelong Sustainability Group and Surf Coast Energy Group issued a letter to Mr Katos and Planning Minister Matthew Guy, calling for the anti-wind farms laws to be lifted or a commitment to exempt community energy projects from the restrictions. Andrew Katos’ policy shift demonstrates our efforts have succeeded. While the support of Liberal politicians to exempt community-wind farms is a welcome step, reform shouldn’t stop there. An exemption for community projects is common sense, yet members of the government shouldn’t forget that commercial projects were the hardest hit by the restrictions on wind farms. The government’s anti-wind farms laws cost Victoria $864 million worth of infrastructure projects, 492 construction jobs, and 64 ongoing jobs. Why discriminate against private sector projects that will create jobs? The Coalition’s restrictions on wind farms stand in the way of popular wind farm developments getting off the ground across the state–limiting economic opportunities for regional Victoria. The community of Ararat is one that has benefitted from wind farms. They have seen the first hand how wind energy has created jobs and generated a drought-proof income stream for their region. Ararat is proud of its local wind farm at Challicum Hills. 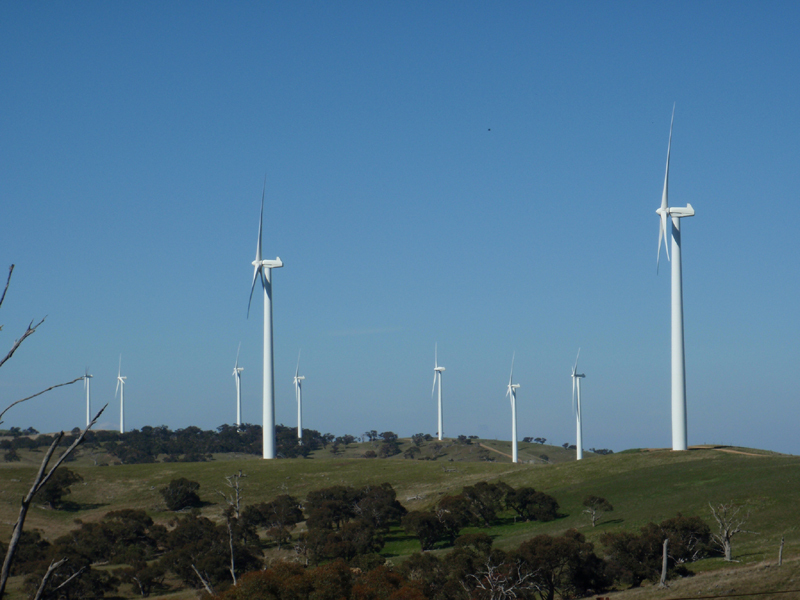 The Labor party already has vowed to “rip up” the Coalition government’s anti-wind farm laws. 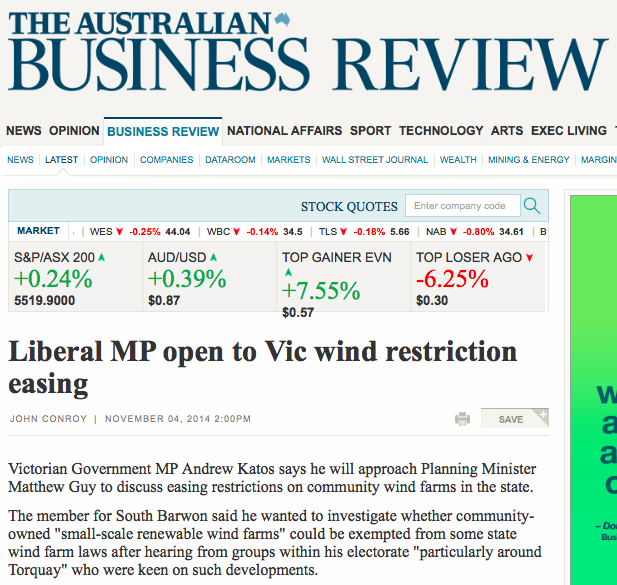 The Victorian Greens also support restoring fair laws for wind farms in the state. There’s still time for the Coalition to commit to repealing its anti-wind farm wind farms before polling day. We’ll soon know whether the Liberal and National parties will adopt a policy position inline with strong preferences of Victorians. The comments from Andrew Katos are a start but it still demonstrates intellectual bankruptcy. If it’s okay for a community owned wind farm to exist, why not a privately owned one? His comments seem more to be driven by political desperation than any sense of realisation or reality.